The author of the best-selling Vegan Tacos explores the magic of Mexico’s regional cooking. Enjoy the exotic flavors of these diverse cuisines without leaving your kitchen. 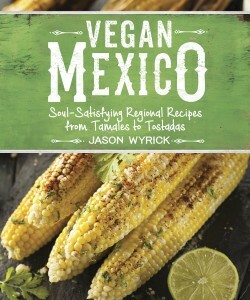 A leading authority in vegan Mexican cooking, Jason shares the core concepts for making authentic Mexican cuisine and tie the recipes to their place in the story of Mexico. Readers will come away with a new understanding and admiration for the diversity and flavors of Mexico and be inspired to make delectable main dishes, soups, spreads, sandwiches, breads, desserts, snacks, and much more. Jason Wyrick is an author, executive chef, cooking teacher, caterer, and founder of the nation’s first vegan food magazine, The Vegan Culinary Experience. 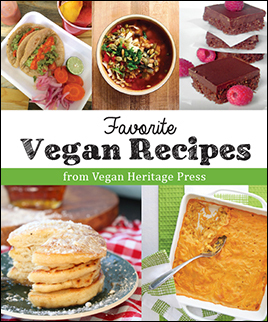 The author of Vegan Tacos, he co-authored the New York Times best-selling book 21-Day Weight Loss Kickstart with Neal Barnard, MD, and has taught alongside many medical and dietary professionals. Jason was the first vegan culinary instructor in the Le Cordon Bleu program. He has catered for major corporations, including Google and taught vegan cooking classes worldwide. His work has been featured in the New York Times, Vegetarian Times, and on both local and national television.